JJ (A.J. Cook) and the BAU’s new section chief Mateo Cruz (recurring guest star Esai Morales) share a secret past work history which will eventually come to light in the new, ninth season of CRIMINAL MINDS, Wednesday, Oct. 16 (9:00-10:00 PM, ET/PT) on the CBS Television Network. 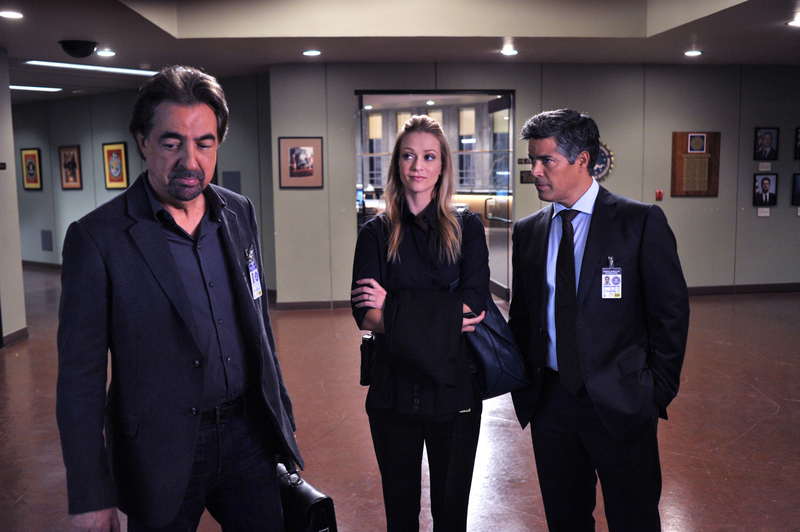 Left: Joe Mantegna as David Rossi Photo: Richard Foreman/CBS ©2013 CBS Broadcasting, Inc. All Rights Reserved. .